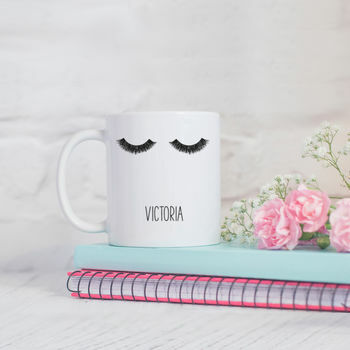 Add a little glamour to your morning routine with our hand drawn eyelashes mug. 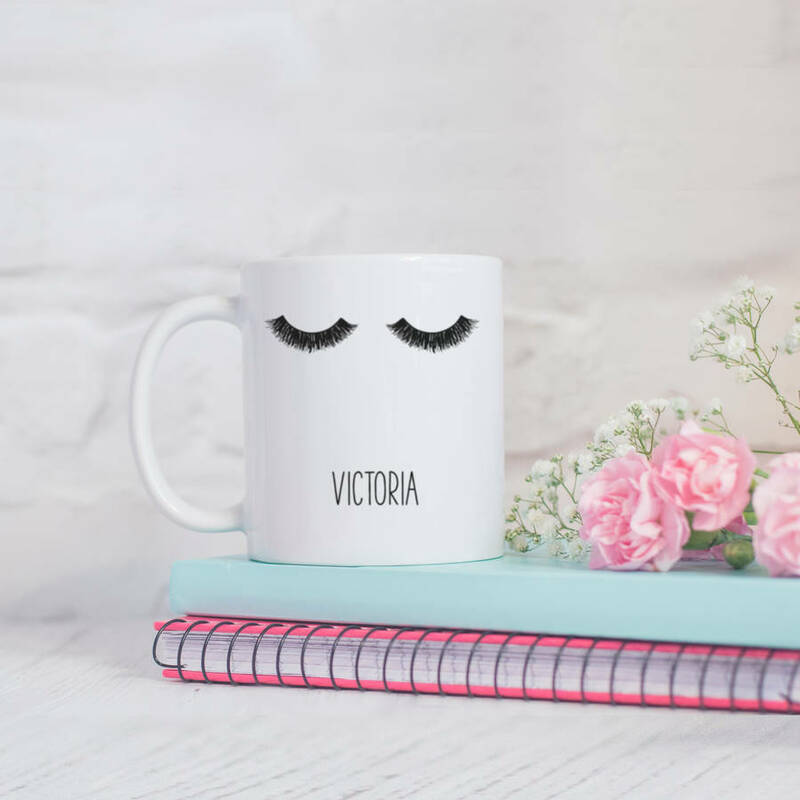 This gorgeous personalised 'eyelashes mug' is perfect for all make up lovers for their favourite drink or even store make up brushes! Hand drawn by Hope and Halcyon and exclusive to notonthehighstreet.com!